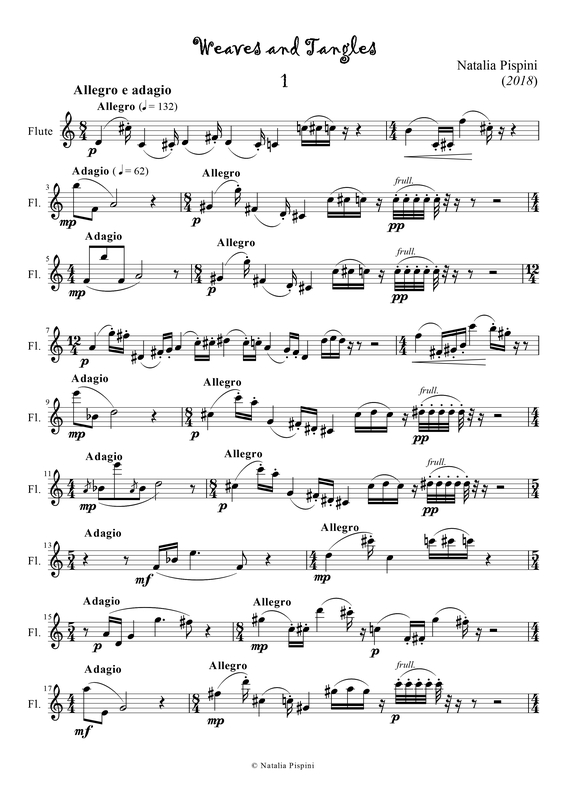 All pieces are stylistically similar and have the same composing principles of rhythmic changeability, metric instability, and gradual modification of scales. The melodies are based on symmetrical or non-symmetrical scales, but the diatonic foundation and tonalities are recognizable. The variety of rhythmic patterns was applied (symmetrical, additive, divisive etc.). The musical structure is free form in piece No.1, and ternary form in pieces No.2 and 3. 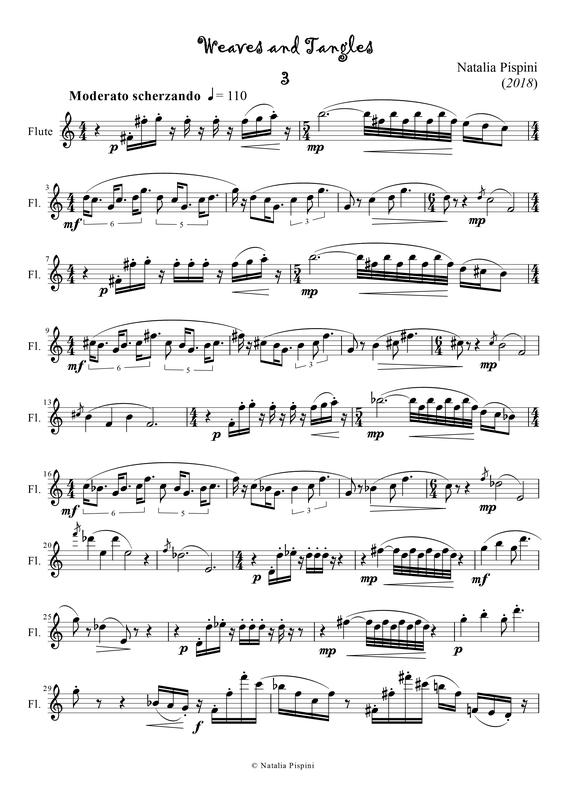 Three pieces are independent and aimed to be performed separately, but it is possible to play them successively as a cycle. No extended technique is needed. 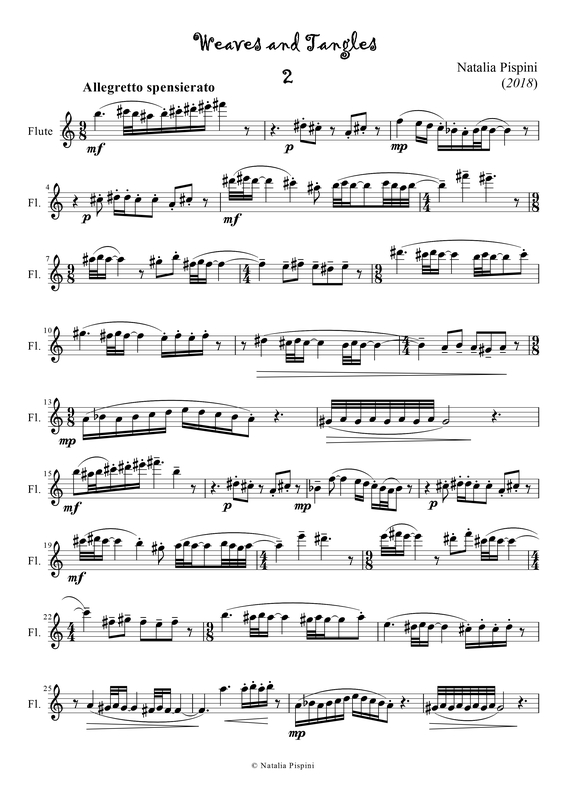 Nevertheless, many rhythmical and textural challenges claim for the advanced level of difficulty.
! These works may be performed. For your inquiry please contact Natalia. In your message, kindly provide some information (brief introduction, collective’s title, website, contact details). The score and all necessary material will be sent to you within a week.